It was a few days before our baby's first Halloween and we didn't have any costume ideas. 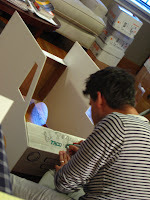 We knew we wanted to make something ourselves because that's our style, but that's as far as we got. As an aside, it's sort of silly that parents care so much about the "first" holidays when babies aren't even old enough to know what's going on, but it's fun to get into the spirit of things as a family. Like, my husband and I have never gotten a Christmas tree before, but now that we have a baby, it makes the holidays more fun. Anyway! So my husband, Rob, mentioned that someone in his office dressed up their baby as a sushi roll. We laughed about how cute an idea that was. Then we joked that we should dress Greyson up as a taco since that's our favorite thing to eat. The joking continued and we said that we should turn our Baby Jogger City Mini stroller into a taco truck, and that's how the final costume came about. 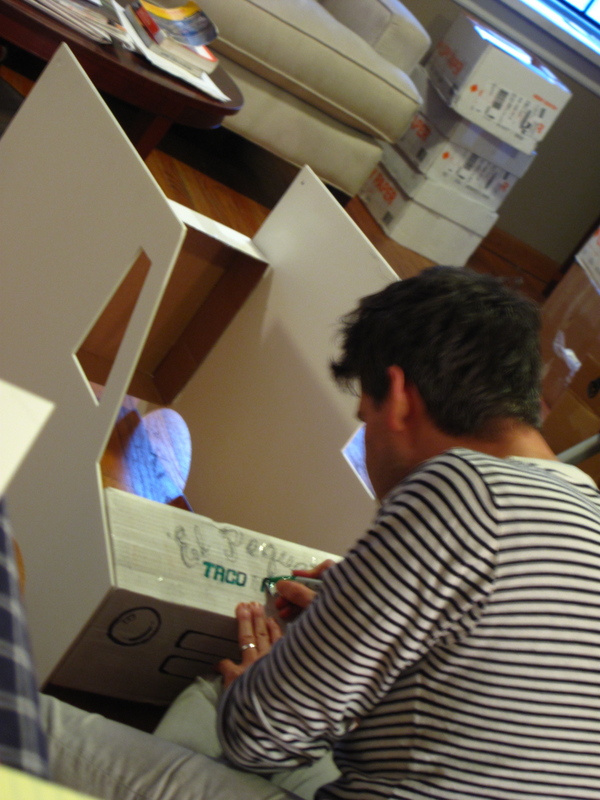 The taco truck costume was definitely a big hit during our neighborhood Halloween parade. For whatever reason, taco trucks make people giddy in New York. They make people squeal with delight. If you have some bad news to deliver, do it in a taco truck! People will forget their sorrows. Here's a video where I show the final costume and describe how it was made with a few simple materials that you probably have around the house. 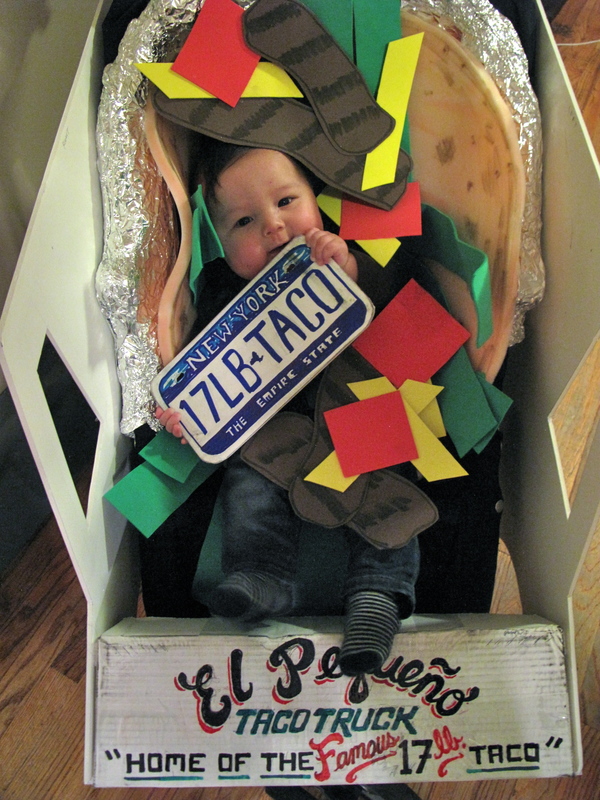 Stick the baby in that carne asada taco, and you got yourself a nifty, crowd-pleasing costume. Below is a link to our stroller: the City Mini by Baby Jogger, which we have and love! If you're looking for a stroller that's great for the city, I highly recommend it. This stroller folds up lightning-fast with the pull of one strap, which is handy if you're taking the subway or lugging the stroller up a flight of stairs in your apartment building. This is amazing! Thank you for taking the time to post how you did it! This is amazing! Thank you for taking the time to post such detail on how you did it! We made this! It turned out sooooo cute!! !